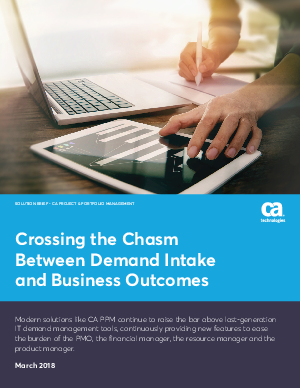 Modern solutions like CA PPM continue to raise the bar above last-generation IT demand management tools, continuously providing new features to ease the burden of the PMO, the financial manager, the resource manager and the product manager. In the last few years, new vendors looking to exploit the large and increasingly influential project and portfolio management (PPM) market have developed modules that “snap” into their SaaS platforms. These vendors claim their tools are easy to install, easy to manage and save customers money. It sounds too good to be true. And for most organizations, it is. Carefully consider whether you need a PPM solution that is only capable of providing low-level functionality for the project manager, or if your organization could benefit from PPM technology that provides 360-degree optics across your organization, delivers actionable business intelligence and enables extensive modeling and forecasting capabilities to make data-driven business decisions.